Cart Abandonment email are the most delicate emails among other mass or bulk email campaigns. It is more personal and sensitive email that holds the key ingredient for your customer retention. Therefore once you send these type of email you are in no position to undo it, edit it or un-send it from your customer inbox whether you have made blunders in it. In simple words, cart abandonment email is the ones that make or breaks the deal. Now knowing you will not get any second chance to compensate for your errors, you must learn and educate yourself for writing these kinds of emails. Hence, in this post, we have highlighted some of the common mistakes that most of the marketers commit while sending an email. The subject line of your email determines whether your customers are going to open it or just directly sent it to their trash. So, Appropriate subject line = Good Open Rate. Your subject line should be clear and fitting as well as parallel to describing your email’s main content. You always try to overdo it by following tips and tricks found on an internet. But that just makes it worse and baity. Those subject line makes your customer more puzzled and increases the rate of deleting it before even opening it. The pre-header text is the actual concept that gives your email readers what your email is actually about and to open it or not. But most of the email marketers ignore this crucial factor. For convincing any customer to open your cart abandon email, you must focus on your pre-header in conjunction with your email subject line. 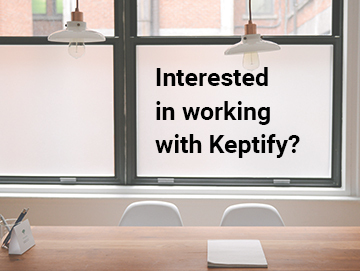 This way your email makes a strong case for itself removes any uncertainty of irrelevant and inappropriate emails. The reason your customers find your cart abandonment email boring is because of poor email design and look. As an marketer, you must be using attractive and best email templates that appeal to your target prospects. Each and every aspect of your email should be appealing and convincing enough for your customers. But don’t forget about your main body, content is the king of your cart abandonment email. Optimize your email according to devices they are opened in such as better readability, visual, button clickability and so on. Below is the example of email with very poor design concept and contetn execution. When you include a single click unsubscribe in your cart abandonment email, it automatically possesses a critical downside. Talking about mobile screen where most of the emails opened, customers, unfortunately, click the link that they don’t have the intent to. Therefore if a customer accidentally clicks the UNSUBSCRIBE link and there is no other step to follow which gives the option to revert their action, then you just lost a valuable customer there. Try it for yourself, you will be able to reduce unsubscribe rate by a massive number. Don’t ever use above email address while sending any kind of email to your customers. Using those kinds of address is telling your customers that you have no interest and time for them. These kinds of email address usually convey a negative persona to your customers and you really don’t care for them at all. It’s the rudest act you can think of and automatically triggers the spam filter as well. Inaccurate hyperlink in your email will entirely lead to a self-destruction. Your cart abandonment email will explain about the products they left but the CHECKOUT button taking them to the home page is just ridiculous and unacceptable. So, scrutinize your test and don’t commit this kind of blunders in your email. More importantly, you can get the help of your colleagues to get it done. There are other plenty mistakes that email marketers make while sending cart abandonment email but I have only mentioned the fatal ones. Before setting up any email campaigns, try it out with your loyal customers of colleagues and see how they respond to your emails. After that, you can tweak the content, design, subject line or any other things which serves the best for you and your conversion rate. Lastly, the time at which you send your messages specifically impacts the open rate and reaction rate of your cart abandonment emails. 80% of online stores fail. Your store might be one of them. 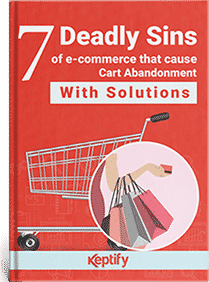 e-commerce with this comprehensive cart abandonment solution eBook. Subscribe to our newsletter and get our resources directly to your inbox.